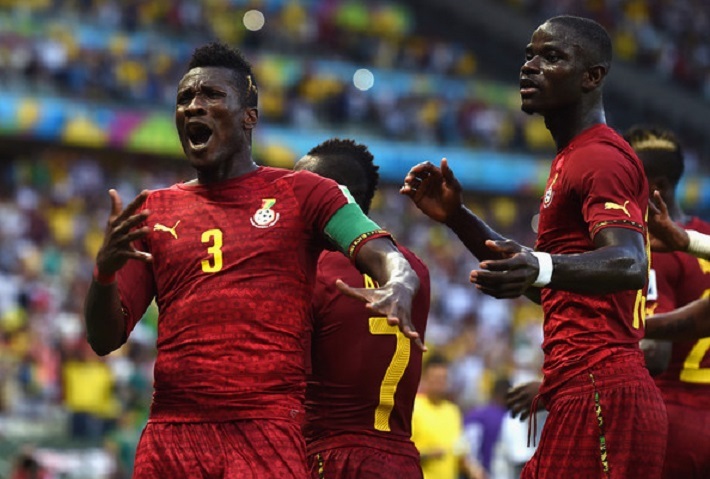 Ghana captain Asamoah Gyan has slammed CAF for excluding him from the final shortlist for the 2014 African Player of the Year award – insisting there is no fairness in the process. The 29-year-old shockingly failed to make the final three-man cut for the prestigious award which will be given out on January 8 in Lagos. Instead, reigning African Player of the Year Yaya Toure is in the hunt to win his fourth successive gong as he goes against Gabon striker Pierre Emerick Aubamayeng and Nigeria goalkeeper Vincent Enyeama. Gyan was unable to garner enough votes from the 53 coaches and technical directors on the continent to make the final shortlist despite his record breaking year in 2014. The Black Stars captain became the highest scoring African in the history of the World Cup finals – beating a 24-year record set by Cameroon legend Roger Milla. 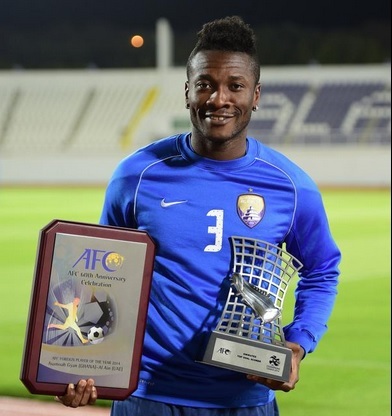 He also emerged as the Best Foreign Player in Asia having finish the AFC Champions League campaign as the top scorer with 12 goals with Al Ain. 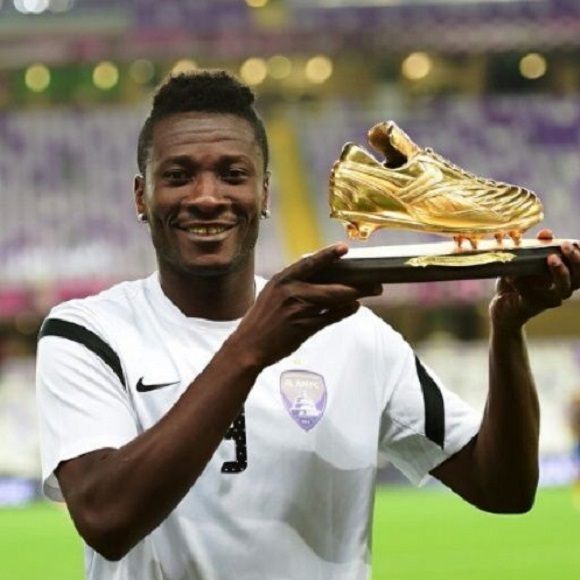 Gyan was also amongst the leading scorer’s throughout the qualifiers for the 2015 Africa Cup of Nations. The former Sunderland man believes he has done more than enough to clinch the award. “I think the fans and everybody on the continent knows what I did in 2014,” he told GHANAsoccernet.com in his first interview of 2015. “I think in 2014, I deserve the award. “Talking about my achievements at the World Cup, talking about the qualifiers to the World Cup, talking about club level and the Asian Champions League I think everything went well for me and I was able to prove myself. “What I want to ask CAF is that what do I do or what does a player have to do to win the award? “Because in the past we all know some players who deserved it but didn’t get it. Gyan believes the process is skewed in favour of African players plying their trade with big European sides and not necessarily adjudging the best from individual achievements within the specified period. “What I call it is African Best Players playing in top teams in Europe.” He added. “I feel like if an African player is doing everything right who deserve an award and he is not playing at a bigger club that means the player is not eligible to win it. That is what I see. “I always talk about [Mohammed] Aboutrika. Aboutrika when he was in his prime, he did everything for Egypt – club level, national team level –he comes to African Cups, he wins it but he didn’t get it. “I always make an example with that guy and I dint think it’s not fair because he played in Africa. “I was denied in 2010 which I think I should have won it and once again it has happened again. “With all due respect to Roger Milla – he is a legend- if he set a record in 1990 and he was able to win African Footballer of the Year in that year and then a player comes and breaks the record that should be automatic. “An African country went to the World Cup, and an African player broke a record. “If you mention all-time leading African scorer in the history of the World Cup then it is going to be me. “So If I represent Africa and then I do other things right and I don’t get it then the question I want to ask is that what else can I do to win it?